Your internet browser forcing to use HTTPS (HTTP over SSL) automatically? Try different internet browser like Firefox or Chrome. If you still have the same problem let’s try different methods. Most common solution for this problem is to check your computer time. If it differs from the real time you must set it right. Open “Control panel” and select “Data and Time”. Then change your date and time to your real time. If it still is not the case try clean your internet browsers from malware: Remove malware ads from internet browsers. That’s it. 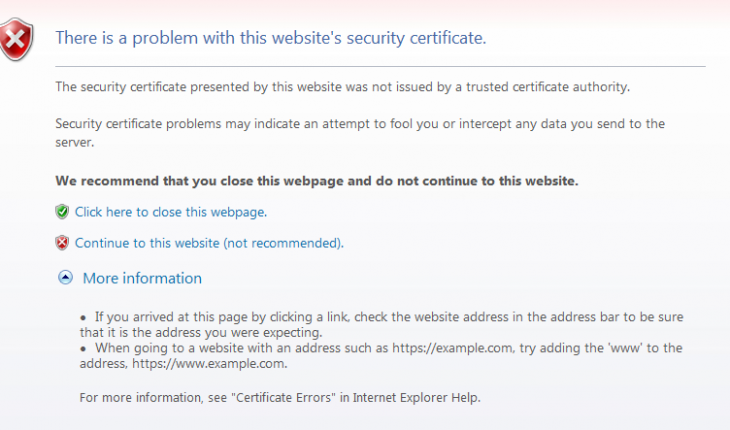 You should successfully have fixed internet browser forcing to use HTTPS automatically problem.